Don’t let one company sway your decisions, talk to us first to find the best solution. We remove misconceptions by providing confidential and free guidance on who best to speak to in the property market. We work with Australia's leading specialists and experts to help find you the right solution when it comes to Real Estate, Investment Properties, Mortgage Reduction, Loans, Financial Guidance and First Home Buyer Support. Our partners have thousands of happy customers around the country who have seen amazing results with their investment property programs. Our consultants will help find you the right people to speak with to obtain finance for your investment, project or simply to get the best rate available. Speak to one of our experts today about how you could reduce your mortgage by over $100K. Find out what the banks don't want you to know! Using data analytics and decades of experience, our partners will show you where and when to buy investment properties; maximising your return in property. "It’s good that it’s a more personalised experience compared to using one financial institute or a broker. They really looked at me and my individual needs and I’m in a much better position now"
"I think what was great about Evolved Property was that you weren’t pushy at all, you generally sounded interested and asked what I wanted to do with my money. It didn’t feel like a typical call if you know what I mean." "I would recommend Evolved Property. You definitely helped put my mind on the right track. It was very easy at the start and I’ve been helped all the way through. It’s been 3 months and we’re still in touch. I couldn’t say a bad thing"
"It was 100% helpful! At the end of the day I got in touch with somebody who was able to put me in a position that I didn't think my wife and I were able to be in. We were able to purchase a second property & be in a better spot then when we had one house, so 100% i'm happy with it"
"My consultant Dean was great, he helped with my property finance and it’s all going really really well with the professionals he connected me with. We're still in the process of securing our new home but we're so excited! "Evolved Property helped me find finance for my property & as well as refinance my existing home. ★★★★★. I would recommend Evolved Property to anyone searching for property & mortgage advice." If you have any questions about Evolved Property please visit our FAQ or get in touch using the links below! Helping Australian’s find the best, free advice to achieve their financial goals. Whether you're a client of ours or not, Evolved Property believes in helping individuals and families grow and improve their financial position. We will assist you in realising your financial goals, investment plans, and much more! Are you looking to purchase your first home? Let our partners find you the best first home buyer support. 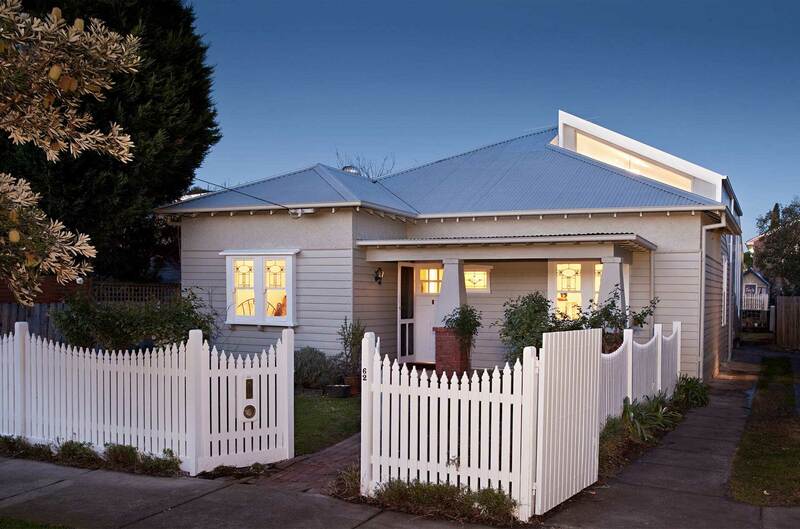 We have access to some of Melbourne & Sydney's best real estate. Using data analytics and decades of experience, our partners show you where and when to buy; maximising your ROI when looking for real estate investment opportunities. Our partners look after your investments and suggests ways to grow so that the you can reach your financial goals. Real estate can be a lucrative way of growing your portfolio. Find out who you really should be speaking to. made since Evolved Property's inception in 2017. Nicole Pedersen-McKinnon from ASIC's MoneySmart talks about how to know when you are ready to invest, developing an investment plan, and knowing what to invest in. Don’t let one company sway your financial decisions, talk to us first to find the best option. We assist individuals with finding the right industry expert for their personal situation. We assist industry experts with making contact with people genuinely interested in their help. All communication with Evolved Property is free and confidential. We can help you speak to professionals who are experts in obtaining the finance for your investment, project or simply finding a better rate and structure for your home loan. We respond to all enquiries within 24 hours. Rather than you sifting through dozens of potential lenders, home loans and interest rates, it’s a broker’s job to crunch the numbers and..
Buying your first property can be an overwhelming process. First time borrowers can face uncertainty over how to apply for a home loan..
Is that a question you have been asking yourself? We’re glad you’re here! Join thousands to recieve free exclusive property alerts, member only deals & incentives.